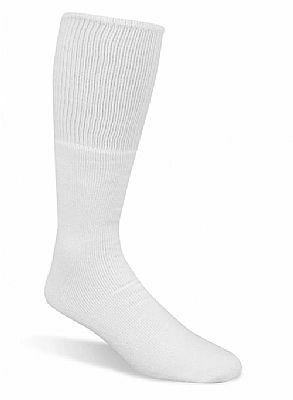 Standard tube sock. Sold by the dozen. Available colors: White, Orange, and Gray.